We’re loving the trend of neutrals paired with pop colors, and is seen in Interior Design as well! 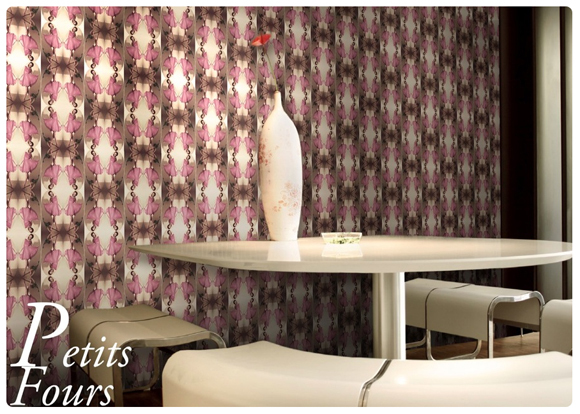 By mixing in a punch of color in your design, you’ll be sure to create a look that is timeless yet makes a statement! 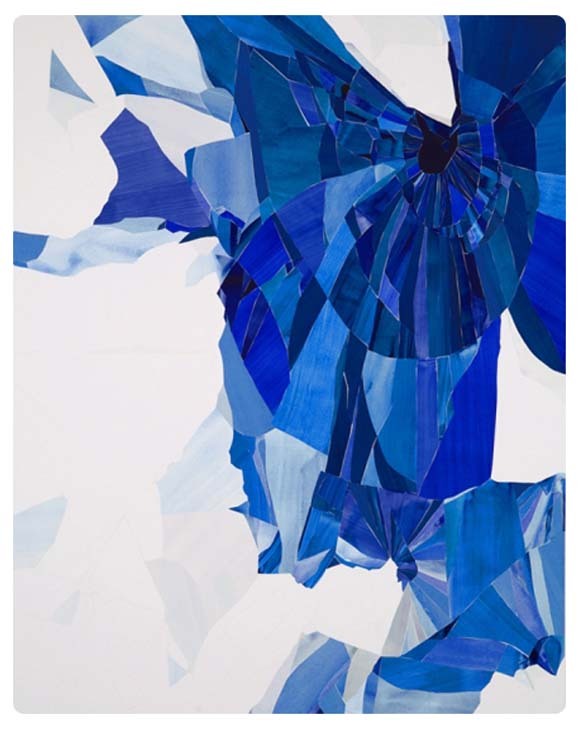 We love coming across young artists with unyielding experimental and creative ideas that prove to be inspirational for textile and surface designers! 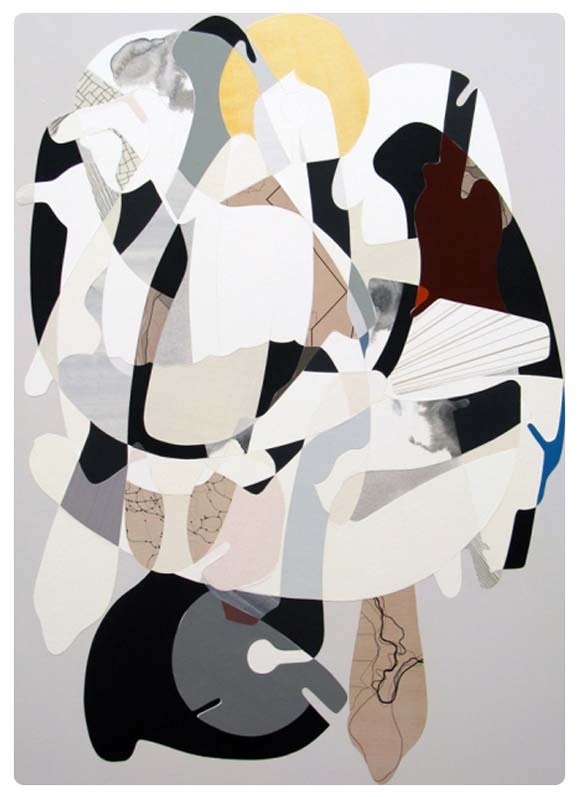 Checkout Aaron Wexler, an artist with a knack for his mixed media of painting with a cut and paste technique. 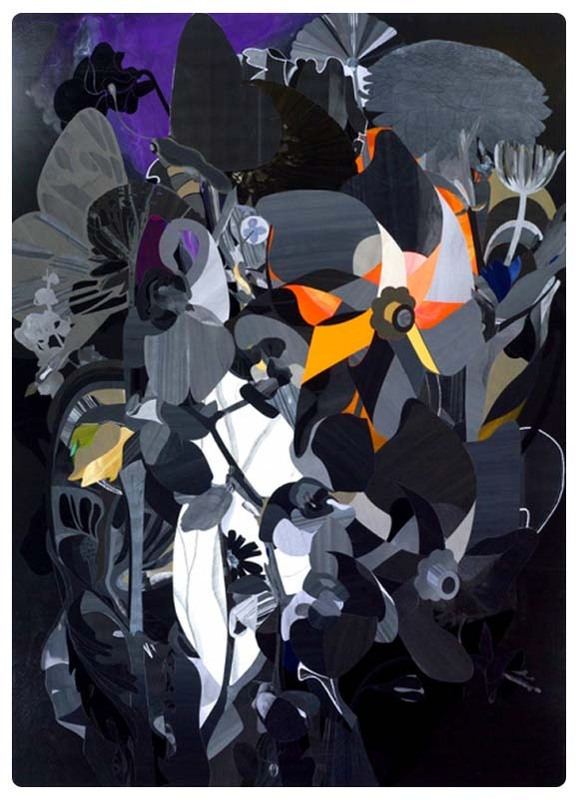 There is a fluid presence in his abstract work, as well as a unique use of pop colors seen in his organic and geometric patterns. 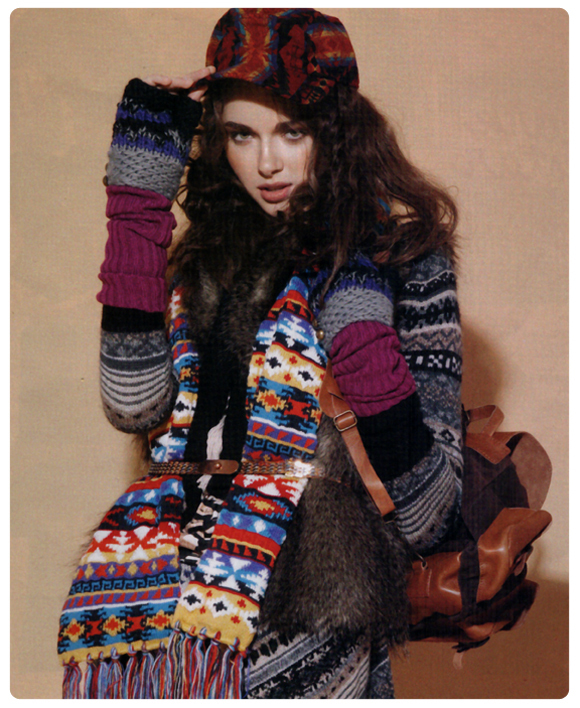 We’re falling hard for the mix-and-match look we found in January’s Nylon Magazine! 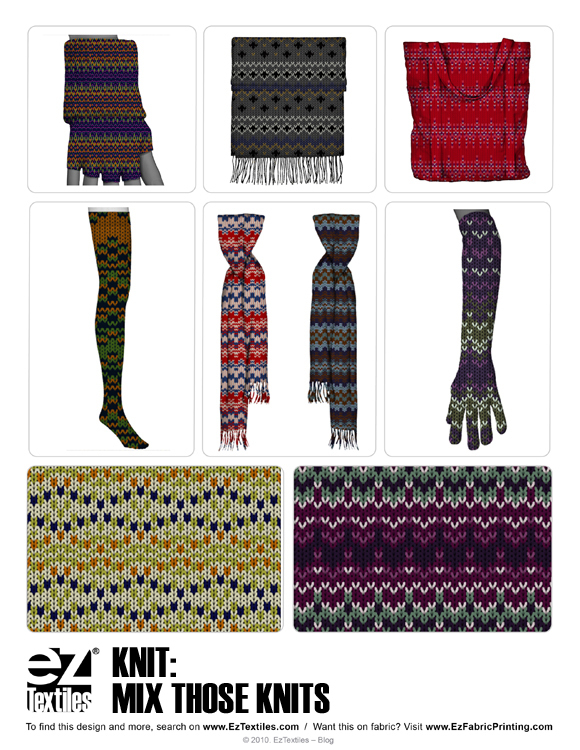 Designers can get creative on EzTextiles and be inspired by searching for patterns in our Knit library. 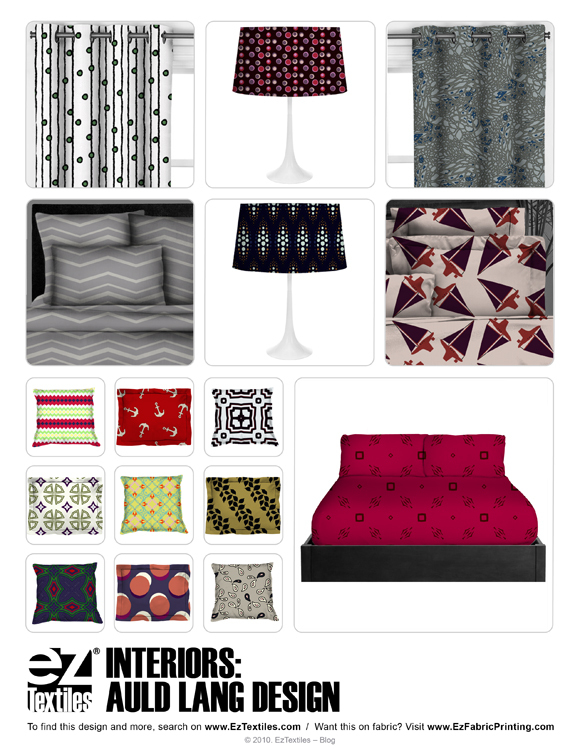 Check out our board of ideas and then search for more patterns and visualize them on any product! 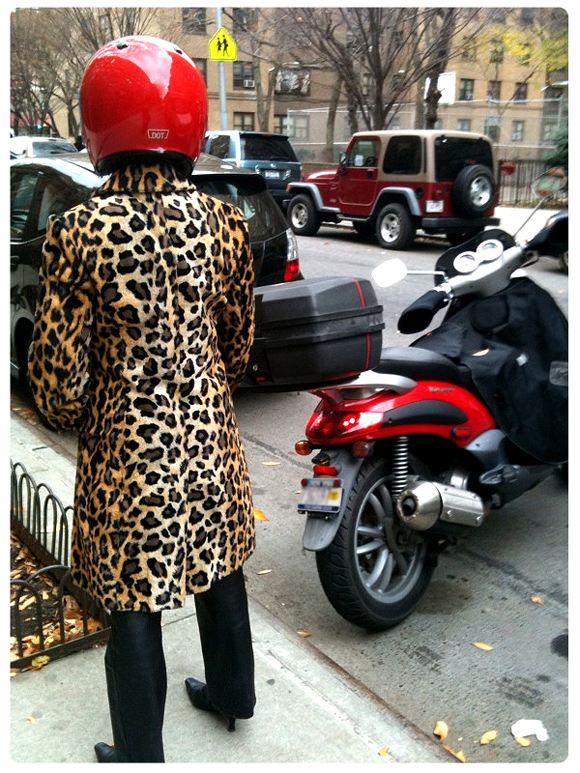 Seen on the Upper East Side early morning, was the purrfect combination of a small and large scaled animal prints! We’ve already started an animal print collection for you here..
We just love when amazing street photographers catch amazing prints and patterns in action! Check out the perfect way to get creative with leggings for winter! We love the knitted geometric pattern! See more of our legging ideas based on this trend! 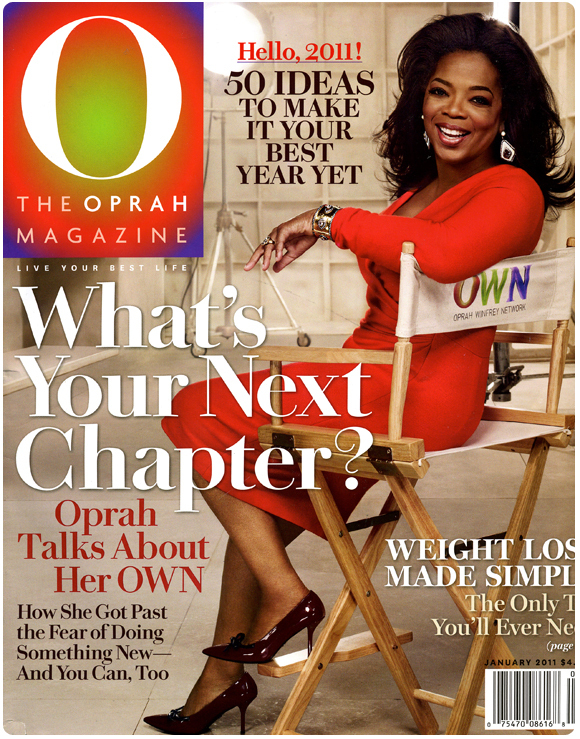 We are excited to announce that our parent company, Sano Design Services was hired to do the digital fabric printing for Oprah’s new OWN logo which was featured on the cover of Oprah Magazine- January 2011! Find out more about Sano Design Services! 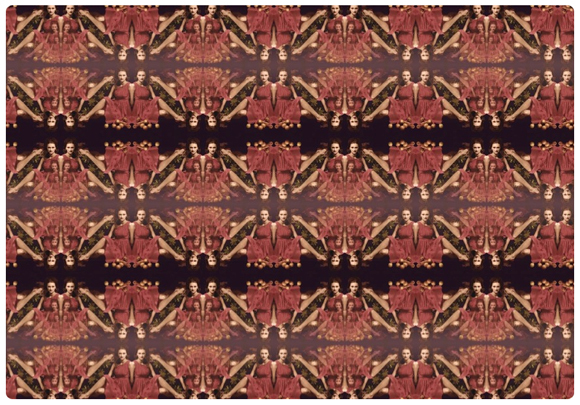 Photographic motifs in a kaleidoscope layout…we keep seeing more of this effect and we love the overall abstract pattern it creates ! Here in New York City, we know the importance of standing out in a sea of umbrellas, so we wanted to share some ideas we created using our product visualization tool! Now it’s your turn to design and see what unexpected creations you can come up with after 10 minutes on EzTextiles! 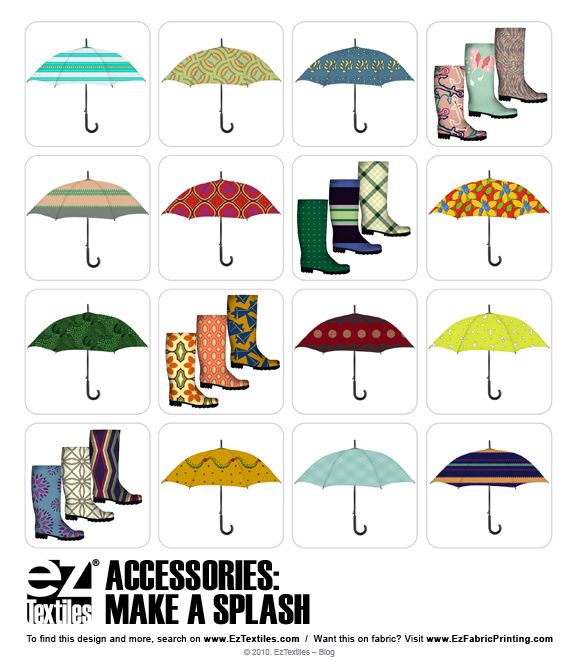 See the rest of this rain-wear collection! It’s that time of year- decorating, embellishing, and gifting! 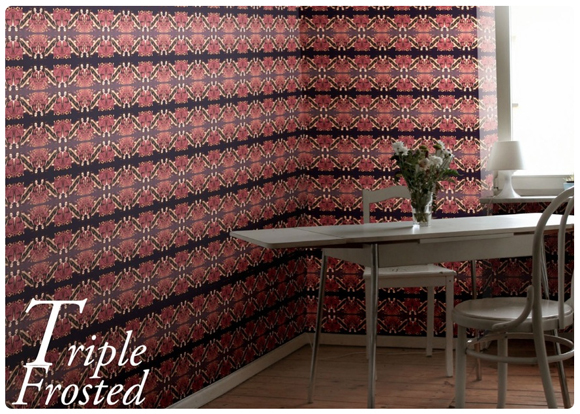 Find unique patterns that are sure to be standouts for the holiday season this year! From traditional plaids to dots and playful motifs, there is no specific direction when it comes to adornment! 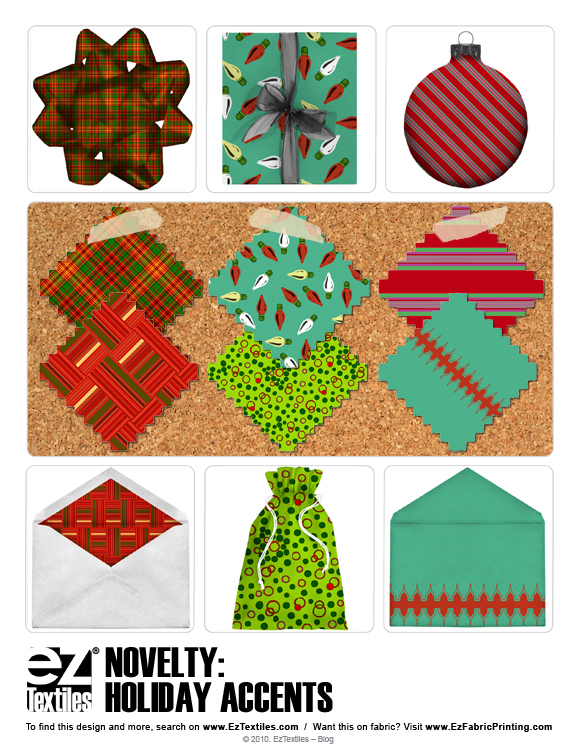 Get inspired with these holiday patterns and more! A classic animal print and cherry red scooter. In love. 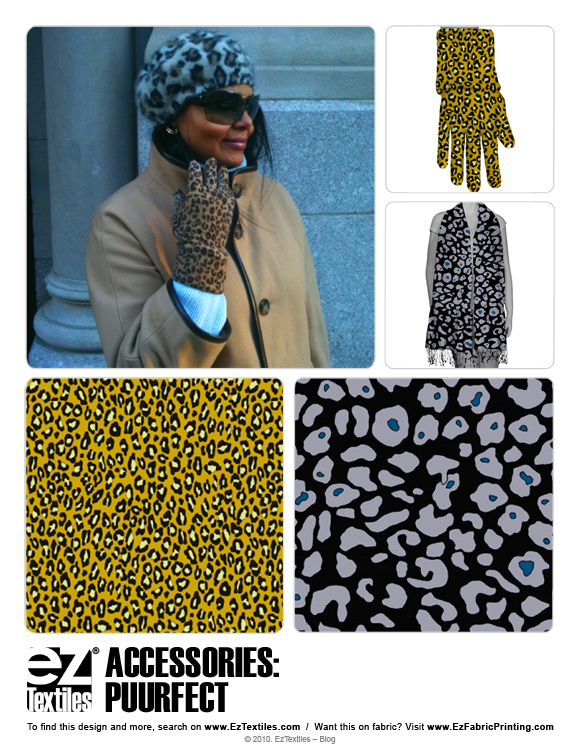 From leopard to snake skin…there are hundreds of possibilities for animal prints! 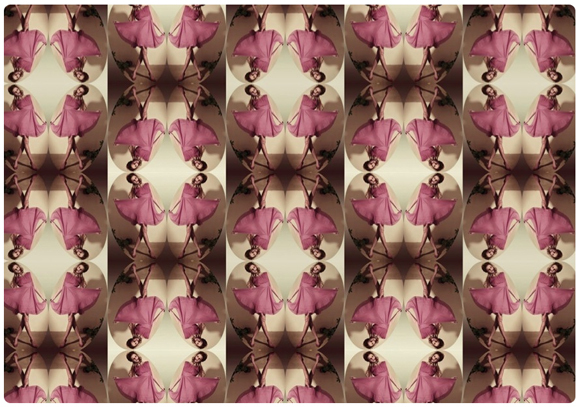 Our blog keeps you informed on trends and information as it relates to the textile industry! Keep checking back for our daily posts on what’s current for print & pattern designs, graphics, wovens, knits as well as industry news and technology! © 2019. EzTextiles – Blog. Powered by WordPress. Cleanr theme by WPShoppe.